Eric Millikin is an American contemporary artist and activist based in Detroit, Michigan. He is known for his pioneering work in Internet art, Postinternet art, and webcomics, as well as video art, conceptual art, poetry, performance art and body art, including "artistic drinking projects." His work is often controversial and semi-autobiographical, with political, romantic, occult, horror and black comedy themes. Awards for Millikin's artwork include the Pulitzer Prize. Together, Millikin and Casey Sorrow created and popularized the international animal rights holiday World Monkey Day. Millikin began drawing horror comics by age one-and-a-half, and by second grade, he was making teachers profane birthday cards showing his school burning down. As a youth, he was influenced by 1980s X-Men and Far Side comics and the video game Gorf. Millikin began posting comics and art on the internet using CompuServe in the 1980s, and began publishing on the World Wide Web as early as the fall of 1995. Millikin attended art school at Michigan State University in their Honors College. He paid his way through school by working in MSU's human anatomy lab as an embalmer and dissectionist of human cadavers. While at art school, Millikin was homeless and lived in a Buick LeSabre. In 2002, Millikin was an editor (along with Tom Hart) and contributing artist of the online alternative comics anthology Serializer. In 2005, Millikin was one of the artists in the Clickwheel collective that published on the video iPod. Millikin has also been published by Modern Tales and Webcomics Nation, where he was one of the all-time most popular artists. Millikin is one of the few, and first, webcomic creators successful enough to make a living as an artist. He is also known as Eric Monster Millikin. Eric Millikin with one of his "Danger Beast" murals of endangered animals created from endangered Venus flytraps. Millikin's art often includes self-portraits as well as portraits of celebrities and political figures. His work often incorporates mixed media and found objects, such as packages of candy, paper currency, and spiders. His large-scale artwork takes full advantage of the internet's formal possibilities, and has incorporated animation and winding "infinite canvas" designs, going beyond the limited sizes and shapes of conventional printed pages. Millikin's works range from those made almost completely of text (including calligraphy, typography, anagrams, ambigrams, free verse, and cut-up technique poetry) to those that are optical illusions or completely abstract. Millikin's artwork has been published in books, serialized in newspapers, and displayed in art museums. Danger Beasts: Since 2016, Millikin has created the Danger Beast series of street art portraits of endangered animals created out of endangered plants, including a portrait of Harambe the gorilla made from Venus flytraps. Made of Money, a series of portraits of accomplished historical figures who died in poverty, created from cut up paper currency woven together. Portraits in the series have included Nikola Tesla, Hedy Lamarr, Joe Louis, Vincent Van Gogh, and Edgar Allan Poe. Millikin created the portraits as a statement on economc inequality, as a reminder "that our best people aren't always rewarded with wealth, and that our wealthiest people aren't always our best." As part of the ArtPrize festival in 2017, Millikin created a small fold-up book of the series and installed it inside one of the small PO Boxes at the local Post Office, as a critique of the large scale pieces that typically dominate the festival. Since the ArtPrize festival was created by the wealthy family of President Donald Trump's Education Secretary Betsy DeVos, the installation was widely seen as an attack on the perceived greed and unearned wealth of DeVos and Trump. Totally Sweet, a series of pop art, large-scale portraits of monsters, each created from thousands of packages of Halloween candy and a single spider. Millikin uses over 40 different kinds of candy, and a single portrait can take between 5,000 and 10,000 candies. Included in the series are portraits of such monsters as Freddy Krueger, Lily Munster, Gort, Godzilla and the Bride of Frankenstein. Millikin compares his artistic technique of building large monsters from many smaller parts to the similar techniques Victor Frankenstein used to create his monster. Hollywood Witch Trials, a series of painted portraits of celebrities like Paris Hilton and Lindsay Lohan based on their crime mug shots, stylized to look like witches, and combined with excerpts from transcripts of the Salem Witch Trials. The portraits are characterized by brilliantly colored paint brushed and smeared into expressionist swirls and spirals. American Mayhem, a series that uses optical illusions to transform the flag of the United States into cityscapes filled with monsters, and incorporates ambigram calligraphy that reads when the paintings are hung upside down. Inverting a national flag in such a way is a commonly used distress signal. Witches and Stitches, a series of early digital comics, from the 1980s, which were the first webcomics ever published. This unauthorized Wizard of Oz parody comic was published by Millikin on CompuServe as early as 1985 when he was in elementary school. Publishing on Compuserve allowed Millikin to self-publish, avoiding censorship. Witches and Stitches was popular with audiences around the world and Millikin's success inspired many artists to create their own webcomics. Copies of Witches and Stitches are now often difficult to find because Millikin was threatened with a lawsuit over the comic. Millikin's outspoken autobiographical style paved the way for other artists to express their thoughts and opinions on the web. Literally Impossible, a series of Op art paintings created as answers to questions from a literacy test used to deny voting rights to African-Americans in the American south before the Voting Rights Act of 1965. The paintings feature illusionary impossible objects, ambigrams and palindromes. Fetus-X, a series of alternative comics created in collaboration with Casey Sorrow. Fetus-X featured a psychic zombie fetus floating in a jar of formaldehyde who may or may not be Millikin's missing conjoined twin or his clone from an alternate timeline or dimension. The comic was run for a short time in Michigan State University's The State News in 2000. After the Catholic League protested the comic and then MSU president M. Peter McPherson declared he wanted it banned, the comic strip was removed for being too controversial. During the controversy over the comic, many people protested on both sides of the issue. The comic was also published in other student newspapers like the University Reporter. Monkey Day, an international animal rights holiday. Monkey Day (celebrated December 14) was created and popularized by Millikin and Casey Sorrow in 2000 as an opportunity to educate the public about monkeys, as a holiday that supports evolution rather than religious themes, and an excuse to throw monkey-themed art shows and costume parties. For Monkey Day 2012, USA Weekend published Millikin's The 12 Stars of Monkey Day, a series of paintings that were "in part inspired by the many pioneering space monkeys who rode into the stars on rockets, leading the way for human space flight." For Monkey Day 2013, Millikin created a mail art series where he mailed Monkey Day cards to strangers, including Koko the sign-language gorilla and President Barack Obama. In 2014, Millikin debuted a series of monkey portraits using 3D film techniques. My Drinking Problem, a series of works of endurance performance art, known as "artistic drinking projects." These have included a "Pumpkin Space Odyssey," where Millikin consumed nothing but Pumpkin Spice Lattes for a month, drinking 150 cans of Vernors in just over two weeks for the ginger ale's 150th anniversary, and drinking enough Hi-C to use the empty drink boxes to brick up his own windows and those of Detroit art galleries. Very Serious Paper Cuts, a series of poems created using cut-up technique to create new poetry by cutting up and rearranging the pages of well-known books. For example, Millikin's Pride, Prejudice and Frankenstein contains twenty "experimental horrific love poems," each a variation on the same theme, with each starting with the beginning words of Jane Austen's Pride and Prejudice, ending with the final words of Mary Shelley's Frankenstein, and the middle words consisting of overlapping text from both sources. Other poems in this series have included The Arabian Nights Before Christmas, Romeo and Dracula and Juliet, and variations on Edgar Allan Poe's The Raven. These poems are then collected into books, with some books distributed by secretly placing on the shelves of libraries and bookstores, in what Millikin calls "reverse shoplifting." Eric Monster Millikin's comics often explore themes of the occult and romance. Millikin also distributes his artwork through college newspapers, in alternative newspapers such as the Metro Times, and in magazines like Wired. His work is also published in major daily newspapers like The Detroit News, Detroit Free Press, The Courier-Journal, The Des Moines Register, The Tennessean and USA Today. Millikin has also used his artwork to raise money for causes like helping Hurricane Katrina victims, fighting diseases like muscular dystrophy, and granting wishes to terminally ill children through the Make-A-Wish Foundation. He has also created posters campaigning to raise money for programs to improve adult literacy, auctioned artwork to support soup kitchen efforts to feed the hungry, and created artwork to help people in the city of Flint who had lead contaminated water during the Flint water crisis. The American Library Association's Booklist describes how Millikin's expressionistic visual style "crosses Edvard Munch with an incipient victim of high-school suicide"  and The Hindu describes his paintings as "haunting images." In his book Attitude 3: The New Subversive Online Cartoonists, syndicated newspaper editorial cartoonist Ted Rall describes Millikin's work as "one of the most interesting webcomics around." The Webcomics Examiner named Millikin's comics one of the best webcomics, the webcomics blog ComixTalk named it one of the 100 Greatest Webcomics of all time, and The Washington Post's readers named it one of the top 10 finalists for Best Webcomic of the Past Decade in 2010. Millikin's work has also been nominated for multiple Web Cartoonists' Choice Awards, including their top honor of "Outstanding Comic". Millikin has been a panelist and guest at webcomic conventions, including the inaugural New England Webcomics Weekend, the first convention organized by and focusing on webcomic creators. The Sunday Times described serializer as "high-art", and the Sydney Morning Herald considered them to be the avant-garde. Millikin's artwork is given by Scott McCloud as an example of using the web to create "an explosion of diverse genres and styles" and is described as "mind-blowing" by Comic Book Resources. The Comics Journal has written that Millikin's comics "use the newspaper format for far more daring, entertainingly perverse work" than most comics and is "perfectly at home at a good alternative weekly or a great college paper." The Webcomics Examiner has called Millikin's work "one of the sharpest political commentaries available." Millikin's artwork has won many awards from organizations including the Associated Press, Society of Professional Journalists, Investigative Reporters and Editors, National Association of Black Journalists, and the Society for News Design. In 2008 his illustrations were part of the series "A Mayor in Crisis", wherein the Detroit Free Press covered, or uncovered, secret text messages of Detroit Mayor Kwame Kilpatrick to reveal the mayor's perjury and obstruction of justice in a police whistle-blower trial. The series resulted in Kilpatrick's being sent to jail and in the newspaper's 2009 Pulitzer Prize for Local Reporting. However, not all criticism of Millikin's artwork has been positive. Since 2000, Millikin has been the target of protest campaigns organized by the Catholic League for what they call his "blasphemous treatment of Jesus". "[Fetus-X] is offensive to Catholics and Christians," Catholic League spokesman Patrick Scully said in August 2002. "It completely ridicules the Catholic faith and is not funny." The Hartford Advocate has called Millikin a "borderline sociopath." ^ a b c d Friess, Steve (2017-09-27). "How a Quirky Art Prize Tied to the DeVos Family Went Political". The New York Times. ISSN 0362-4331. Retrieved 2017-10-30. ^ "Damned VIII art show at Tangent Gallery in Detroit". Detroit Free Press. Retrieved 2016-03-13. ^ a b Baetens, Melody (June 1, 2016). "Celebrations abound for Vernors' 150th anniversary: Pop art". The Detroit News. ^ Fingeroth, Danny (August 2008). "The Rough Guide to Graphic Novels". p. 276. ^ Hart, Tom and Joey Manley (Oct. 21, 2002). "Modern Tales And Tom Hart Launch Serializer.Net Today Archived 2011-06-05 at the Wayback Machine"
^ Xerexes, Xaviar (Dec. 2006). "the Comixpedia End of 2006 Roundtable". ^ MacDonald, Heidi (Oct. 12, 2006). "Serializer.net returns". ^ Bors, Matt (Oct. 24, 2006). "Serializer.net Archived 2008-08-20 at the Wayback Machine". ^ "Clickwheel Comics" Clickwheel, August 26, 2006. ^ Popular / New Today "All-Time Top 100 ... 12. Eric Monster Millikin By Eric Monster Millikin" Retrieved 2011-11-18. ^ Brenner, Lynn (February 27, 2000). "What People Earn: How Did You Do This Year?". Parade Magazine, p. 9. ^ a b "Eric Millikin, Artist, Creates The Sweetest Halloween Art You'll See All Year". The Huffington Post. October 30, 2013. ^ "Tours on Bicycle Built for Six Showcase Art Explored". Royal Oak, MI Patch. August 11, 2016. Retrieved December 10, 2017. ^ "ENDANGERED: ARTISTS". THE STUDIO DOOR. July 31, 2016. Retrieved December 10, 2017. ^ a b Karoub, Jeff (October 6, 2017). "Winners Announced in Annual Michigan Art Competition". U.S. News & World Report. Archived from the original on 2017-11-07. ^ Reimink, Troy (September 25, 2017). "ArtPrize 2017: Metro Detroit artists shine at massive competition in Grand Rapids". Detroit Free Press. ^ Girard, Jojo (September 22, 2017). "Enough With The Big -- Here's The Smallest Venue At ArtPrize, A Post Office Box". Greatest Hits 98.7 WFGR. Retrieved 2017-10-30. ^ Scheidel, Matthew (2017-09-28). "Made of Money". The Collegiate Live. Archived from the original on 2017-11-07. Retrieved 2017-10-30. ^ Anthony Domanico (30 September 2014). "Monster portraits so tasty you could eat them". CNET. ^ Gregory Burkart (1 November 2013). "Get a Taste of Eric Millikin's Totally Sweet Candy Monster Mosaics". FEARnet. ^ "What Else Can You Do with Halloween Candy? Make Amazing Portraits, of Course!". The Good News with The Ellen DeGeneres Show. 30 October 2013. Archived from the original on November 3, 2013. ^ Kelly, Clinton; Symon, Michael (30 October 2014). "Halloween in a Hurry". The Chew. Season 4. Episode 39. ABC. ^ Jolie Lee (10 October 2014). "Sweet or scary? See portraits made of Halloween candy". USA TODAY. ^ Ovation Staff (1 November 2013). "THE SWEET PORTRAITS OF ERIC MILLIKIN". Ovation. Archived from the original on 2015-01-16. Retrieved 2015-01-15. ^ Leila Roelli (8 October 2014). "Mosaïques sucrées". Couleur 3. ^ Mary Beth Quirk (30 October 2013). "We Can't Decide If These Halloween Candy Monster Portraits Make Us Hungry Or Scared". The Consumerist. ^ Millikin, Eric. "Hollywood Witch Trials". Retrieved 2012-04-14. ^ a b Sjoberg, Lore (March 4, 2011). "Alt Text: Going Undercover at an Unregulated Content Farm", Wired. ^ Millikin, Eric. "American Mayhem". Retrieved 2012-04-14. ^ Talita Calitz (March 2012). "11 Webcomics worth bookmarking". Yahoo! Celebrity. ^ Smith, Alexander, K. (2011-11-19). "14 Awesome Webcomics To Distract You From Getting Things Done". Paste. ^ Dochak, Sarah (2011-11-29). "Pioneering the page: The decline of print comics, the growth of webcomics and the flexibility, innovation and controversy of both". Gauntlet. ^ Grace Dobush (24 July 2014). "9 Major Tech Moments in Comics History". Consumer Electronics Association. ^ Team Viva (2011-12-10). "Comic Relief". The Pioneer. Archived from the original on 2012-01-14. ^ Garrity, Shaenon K. (April 10, 2011). “History of Webcomics” Comicdom Con, Athens, Greece. ^ Sreejita Biswas. (August 07, 2013 ). “Stick ’Em Up! Archived 2013-08-10 at the Wayback Machine” Bangalore Mirror. ^ Eric Millikin (30 January 2014). "Eric Millikin: Black History Month: Can you pass this 'Literally Impossible' impossible literacy test?". Detroit Free Press. ^ a b Bennett, Brandon (1 August 2002). "Guest appearance helps 'Fetus-X' move forward". State News. ^ Castanier, Bill (12 December 2012). "Portrait of the artist as a playful grandfather". City Pulse. ^ Birchmeier, Zak (24 August 2000). ""Fetus-X" provides SN with originality". The State News. Archived from the original on December 3, 2005. ^ Hoxworth, Kim (30 August 2000). "Strip controversy bothers SN reader". The State News. Archived from the original on February 26, 2002. ^ Strank, Jody (24 May 2000). "Concern regarding "Fetus X" cartoon". The State News. Archived from the original on January 7, 2002. ^ Lattimore, Latoya (18 May 2000). "Cartoonists need to show respect". The State News. Archived from the original on January 7, 2002. ^ Millikin, Eric; Sorrow, Casey (Sep 2001). "The Neglected Opportunity". University Reporter. p. 12. ^ "For the Record: Mom, Dad, I'd like you to meet Ted Cruz". USA TODAY. Retrieved 2016-06-05. ^ "Celebrate Monkey Day in 3D with Eric Millikin". Detroit Free Press. Retrieved 2016-03-13. ^ Milllikin, Eric (June 2012). "Pride, Prejudice and Frankenstein". p. 371-375. 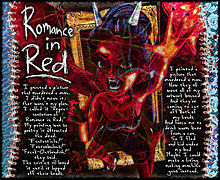 ^ "Eric Millikin's Valentine's Day 'Very Serious Paper Cuts': 'Romeo and Dracula and Juliet' and more". Detroit Free Press. Retrieved 2017-10-12. ^ "Eric Millikin's 'Serious Paper Cuts': Classic books cut up, remixed". Detroit Free Press. Retrieved 2017-10-12. ^ Tempesta, Erica (May 1, 2017). "'Once upon a subway dreary!'". Daily Mail, Femail. Retrieved 2017-10-30. ^ a b Mazzei, Rebecca. "Paper View" (PDF). Metro Times. Retrieved 2012-04-14. ^ "News is honored by sports editors". (February 28, 2003). The Detroit News, p. 1H. ^ a b "Freep's fentanyl report is tops". (April 18, 2008). Detroit Free Press, p. 3A. ^ Aftermath of 9/11 (September 10, 2011). The Tennessean "Artist Eric Millikin created this illustration from some of the most powerful photos of people reacting to the 9/11 attacks and their aftermath." ^ "Uphold affordable health care". Retrieved 2012-04-14. ^ Millikin, Eric. "Please Ignore The "Drill, Baby, Drill" Brigade". Real Clear Energy. Archived from the original on 2012-06-16. Retrieved 2012-04-14. ^ "The Webcomic Hurricane Relief Telethon". Retrieved 2009-10-10. ^ "Labor Day 2002 Webcomic Telethon". Archived from the original on May 27, 2005. Retrieved 2009-10-10. ^ Millikin, Eric. "Reading Works Poster Page". Reading Works. Archived from the original on 2011-12-03. Retrieved 2012-04-14. ^ "Twitter lights up over Snyder's State of the State speech". Detroit Free Press. Retrieved 2016-02-08. ^ Rall, Ted (2006). Attitude 3: The New Subversive Online Cartoonists, New York: Nantier, Beall, Minoustchine. ISBN 1-56163-465-4. ^ a b "The Best Webcomics of 2004". The Webcomics Examiner. Archived from the original on 2007-01-06. Retrieved 2007-03-18. ^ O'Brien, Danny (February 26, 2006). "The tooniverse explodes". Sunday Times (London), p. 27[S]. ^ Sharwood, Simon. (August 30, 2003) The rebirth of comics: Comics online. Sydney Morning Herald(Australia), Pg. 5. ^ Wood, Mariko (March 2003). "Download: Good Comics and Baud Web Comics". The Comics Journal, No. 251, p. 38. ^ "Winners named in Michigan APME newspaper contest". The Washington Times. 1 June 2014. ^ "Free Press wins big with SPJ; Journalists sweep the year's top awards". (April 19, 2009). Detroit Free Press, p. 9A. ^ a b "Mayoral reporting: Free Press wins top honor". (April 1, 2009). Detroit Free Press, p. 5A. ^ "2014 Salute to Excellence Newspaper Finalists". National Association of Black Journalists. ^ a b "The Best of Newspaper Design". (2009). p. 62. ^ "Free Press wins its 9th Pulitzer; Reporting led to downfall of mayor". (April 21, 2009). Detroit Free Press, p.1A. ^ "The 2009 Pulitzer Prize Winners: Local Reporting". The Pulitzer Prizes. Retrieved 2013-10-26. ^ Dingell, John D. "Dingell Statement on Auto Industry Loan Bill Archived 2010-03-07 at the Wayback Machine. (Dec. 10, 2008). ^ "Stand-Up Comics". Hartford Advocate. Archived from the original on 2007-02-23. Retrieved 2007-03-19. This page was last edited on 14 November 2018, at 22:44 (UTC).